NICOSIA, CYPRUS. 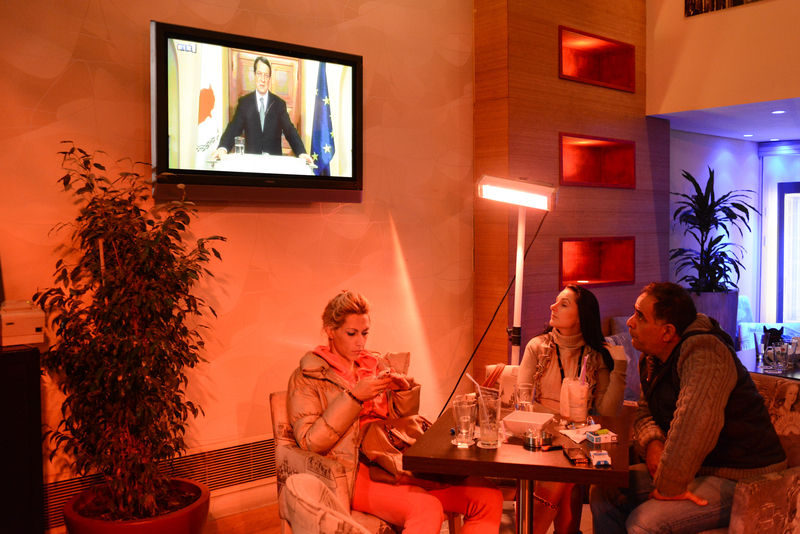 Young people are seen watching the speech of Nicos Anastasiados as he addresses the nation following a bailout deal with the IMF and the EU at the Flocafe on March 25, 2013. Despite the eleventh hour bailout deal, many Cypriots still face great uncertainty as the two biggest banks remain closed until Thursday March 28 and an unspecified tax will be levied against savings deposit accounts worth more than $130,000.